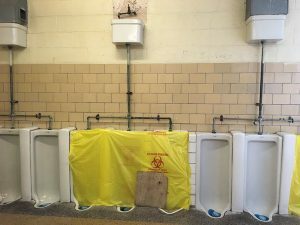 An out of service toilet in a Detroit school. “An education system flush with cash, but which leaves our young and beautiful students deprived of all knowledge”. Incensed, I immediately wanted to share my thoughts about these mean-spirited, belittling words–but I couldn’t. Because I was in Grand Rapids at the Michigan Music Conference (MMC), an annual professional development conference for our state’s 2500 music teachers. I look forward to the MMC each year as a place to reconnect with my former students and colleagues across the state, to learn some new strategies that I hope will help me to become a better teacher, and to recharge and reinvigorate my passion for music teaching. I’m never disappointed. And I always leave in awe of the dedication and talents of these committed professionals. But in the aftermath of the President’s comments, my admiration for these teachers is even greater this year. 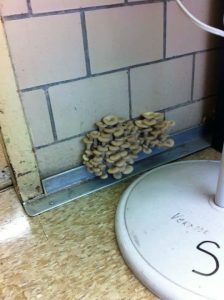 Mushrooms growing in a Detroit classroom. 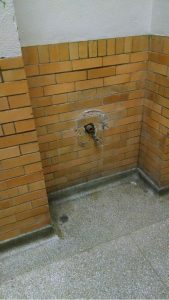 A missing water fountain in a Detroit school. Even in spite of daily, brutal attacks on our profession from the education reform crowd (led by presumptive Secretary of Education and Grand Rapids area native Betsy DeVos), the media, and now, the President of the United States, the teachers I talked to at the MMC were universally positive, enthusiastic, and excited to be at the conference. They were up early to be at 7am breakfast meetings, packed giant ballrooms to learn new songs and activities from guest clinicians, and shared their knowledge with colleagues in conducting symposia, research meetings, and teaching workshops. Although they were uncommonly well-informed and aware of the political changes swirling around their country and their profession, these teachers chose instead to focus their energies on improving their teaching abilities and knowledge–all in service of helping their students find their voices as musicians and persons. …yet we are so bad at our jobs that our students know literally “nothing”. What I will say is that these comments are ignorant, hurtful, and divisive. The President had a chance to use his inaugural address to unite a fractured nation and appeal to our better selves, but chose to insult and disparage a profession of which he knows nothing. 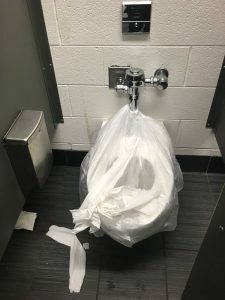 It’s not our education system that is flush with cash, yet knows nothing.